This time the InterNations Newcomers' Event series brings us to the oldest brewery in Düsseldorf! 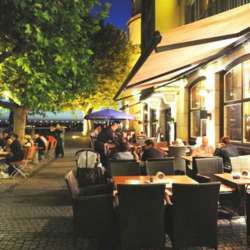 We look forward meeting you in the very heart of the Düsseldorf Altstadt! Please be warmly invited in this cozy and welcoming environment to meet other global minds. Did you just move to Düsseldorf, do you want to make international friends or do you look for a chat with other global minds in a relaxed environment? Then this event is made for you! This event is specifically designed for all those joining InterNations for the first time. As everyone is new, this event is a great platform to enjoy the InterNations spirit, network and get integrated in the global minds community of Düsseldorf. So don’t be shy, because you won't be the only one :). Feel free to contact us about any questions or concerns you might have. The InterNations event will be held in the left wing of the building. So you simply walk through the main entrance and then turn left where an InterNations banner will explain the rest.